The 22ple VS1 Final Coat is a brand new top coat meant to be put over the 22ple VX line. It can also be used as a stand alone product or on top of other coatings as a topper. VS1 Final Coat will give a coated surface a slick feel and give it additional hydrophobic properties to aid in an amazing level of water beading. It is intended to last 2 to 3 months and this may be longer, or shorter, depending on how the car is maintained. Although it is a silica based spray, it will not add scratch resistance like the VX line, unless it is used regularly. If used often, it can and will add some surface protection! 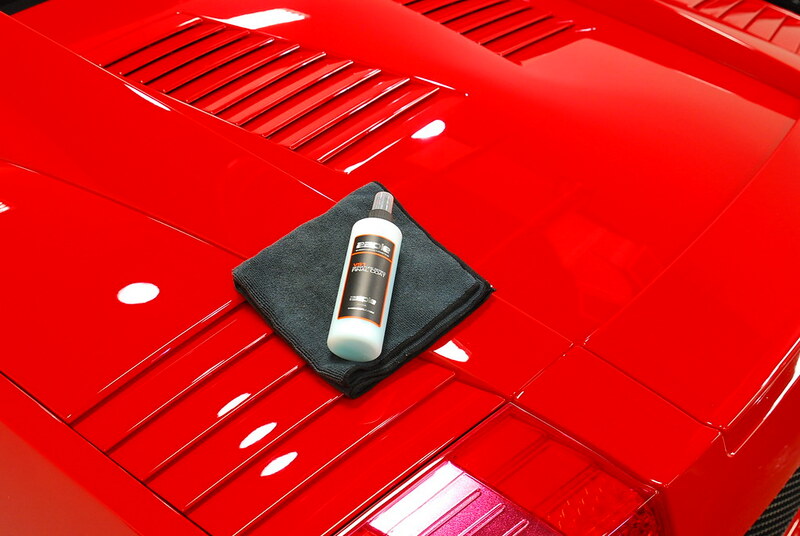 VS1 is a maintenance spray for 22ple, although it can be used on a car that hasn’t been coated. One huge benefit is that the VS1 also helps prevent water spotting. With a lot of coatings these days, the coating itself will need to be protected. Therefore, a “sacrificial coating” is needed and it serves that purpose perfectly. As with almost any sealant, less is more. The sprayer is a very fine mist and excessive product will cause streaking and dark spots on the paint. When applying as a topper, wait for at least 1 hour before applying to a recently coated car. Ideally you want to wait at least 3 hours before using the Final Coat. Always apply to a cool surface and out of direct sunlight. I found that 2 to 3 sprays per panel provides plenty of slickness and protection. Simply spray on a soft Microfiber towel like a DI Microfiber reTHICKulous Towel, wipe on the surface, flip the towel and wipe off the excess product. It really is that simple! The depth and gloss left behind after VS1 is used on top of a coating is intense. Remember with any coating or topper, the depth and gloss is only as good as the polishing work done below. 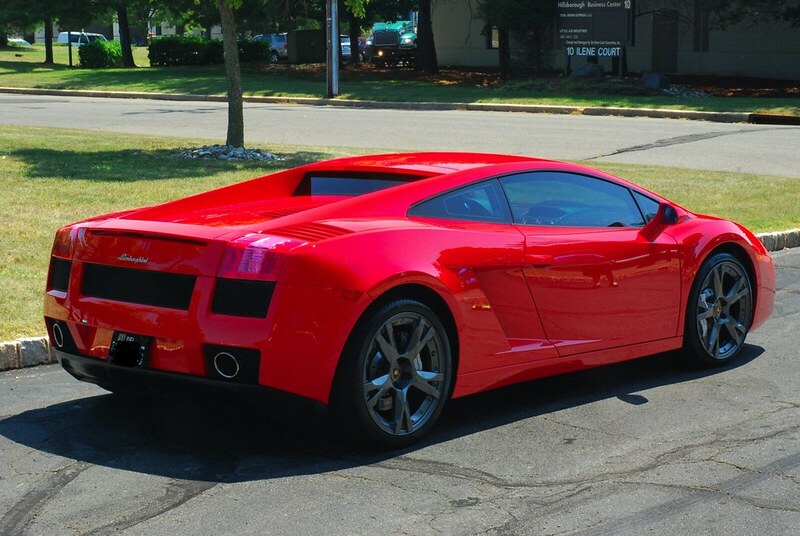 Take a look at how great this Lambo turned out! Nice review Greg, do you need to toss out the microfiber after the application like with the VX line? Great Job Greg! This car looks amazing! I heard that 22ple may no longer be available in the us before to long? I was looking into becoming an authorized installer and wanted to work with 22ple after all the great feedback on the product. I tried gtechniq c1 with exo but the exo is just way to finicky and seems to actually dim down the shine of the finish. Whats the news on 22ple? I just tried out kamikaze myabi, super easy to use and the overcoat (top coat) was also easy to use as well, however under certain lighting you can tell it didnt really fill in much of the very minor imperfection that may have been left after polish(cannot see this outside under natural lighting). Zack, that was a rumor and it has been bunked by Shyan of 22ple. 22ple is here to stay and watch for some exciting new products! I too, am wondering if the towels will need to be tossed as with vx1? I have a detailing company in albuquerque, which has high uv’s and destroys car wraps quickly. Q: are there any nano technology products safe for vinyl with high uv protection? I read a different review that used it as more of a wax, apply with an applicator pad, allow to haze, then remove. Here you are using differently. Is either approach appropriate?